Using the DIR-825/AC device, you are able to quickly create a high-speed wireless network at home or in your office, which lets computers and mobile devices access the Internet virtually anywhere (within the operational range of your wireless network). Simultaneous activity of 2.4GHz band and 5GHz band allows performing a wide range of tasks. 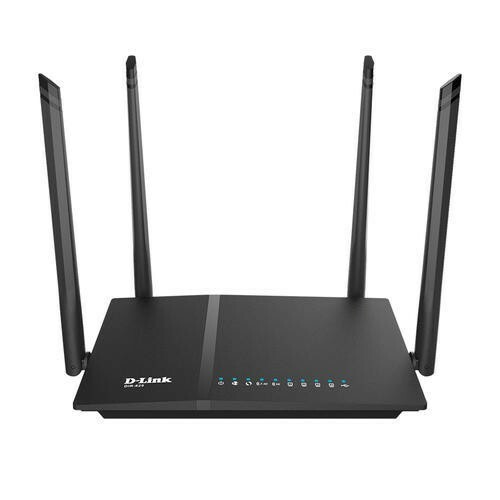 The router can operate as a base station for connecting wireless devices of the standards 802.11a, 802.11b, 802.11g, 802.11n, and 802.11ac (at the wireless connection rate up to 1167 Mbps). The wireless router DIR-825/AC includes a built-in firewall. The advanced security functions minimize threats of hacker attacks, prevent unwanted intrusions to your network, and block access to unwanted websites for users of your LAN. In addition, the router supports IPsec and allows to create secure VPN tunnels. Built-in Yandex.DNS service protects against malicious and fraudulent web sites and helps to block access to adult content on children's devices. You can configure the settings of the wireless router DIR-825/AC via the user-friendly web-based interface (the interface is available in two languages – in Russian and in English). The configuration wizard allows you to quickly switch DIR-825/AC to one of the following modes: router (for connection to a wired or wireless ISP), access point, repeater, or client, and then configure all needed setting for operation in the selected mode in several simple steps. Also DIR-825/AC supports configuration and management via D-Link Click'n'Connect mobile application for Android smartphones.